A rumbling row over censorship between the Cannes film festival and Iran flared anew as Tehran banned celebrated director Abbas Kiarostami's new movie due to star Juliet Binoche's attire . The actress award last weekend for her role in Certified Copy, a tortuous tete-a-tete about love and marriage in which she remains determinedly fully clothed throughout. If Juliette Binoche were better clad it could have been screened but due to her attire there will not be a general screening, Deputy Culture Minister Javad Shamaqdari was quoted as saying by local newspapers. 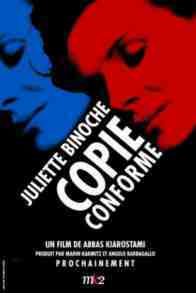 Binoche and Kiarostami heaped criticism however against Tehran throughout the festival, for the way it treats its film-makers and for its tough censorship stance. On picking up the best actress prize, the French star brandished a sign with the name of Jafar Panahi, the Iranian film-maker jailed in Tehran in March for planning a film against the Islamic regime. After years of friction between the Cannes film festival and Tehran, organisers may have added insult to injury this year by inviting jailed Panahi to join the festival jury that decides on the winners of its awards. At the festival's gala opening, the jury headed by Alice in Wonderland director Tim Burton called for his release and left a seat symbolically empty for him on stage. An Iranian appeal court in Tehran has upheld film director Jafar Panahi's sentence to six years in jail, and a twenty-year ban on filmmaking. Charges against the award-winning director were summarised by state media as: acting against national security and propaganda against the regime . With the ban now in-place, the filmmaker's This is not a Film , which premiered at Canne Film festival, may be his last work for two decades. 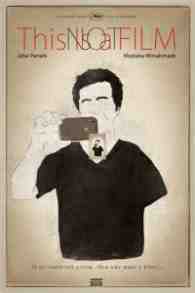 The handheld-shot documentary covers Panahi's struggle with censorship whilst being prosecuted. This is Not a Film is thoughtful, inviting and not at all preachy or didactic. It is truly a video postcard, though a potentially contentious one having been smuggled to the 2011 London Film Festival via a memory stick. Still, it stands up a testimony to the defiance against censorship and towards this man's desire to tell stories, in whatever format he is able to. Jafar Panahi's This Is Not A Film demonstrates by the simple fact of its existence that the political oppression of difficult artists -- a tradition as ancient and venerable as art itself -- is alive and well in modern Iran. No surprises there, perhaps, but more encouragingly it also shows that Iranian responses to being silenced are as inventive as any ever developed by film-makers in repressive regimes. Given the formal and stylistic adventurousness of many movies made under arduous political circumstances, you might even argue that a bracing dose of aggressive censorship and brutal repression can sometimes do wonders for a director's formal and intellectual development. 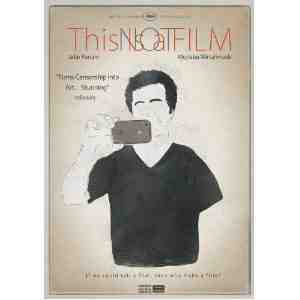 This is Not a Film is now available for pre-order . It will be released in the UK by Palisades Tartan on 27th August 2012. Jafar Panahi's Closed Curtain will be released digitally online and will be free for viewers in Iran using VHX, the direct-to-consumer platform, beginning Monday, July 14th. One of Iran's most celebrated filmmakers, Panahi has been under house arrest since 2011, and the Iranian government has banned him from making any films for 20 years. 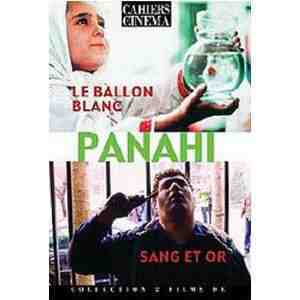 Closed Curtain marks Panahi's second time defying the ban placed upon him by the government. The first was his 2011 documentary This is Not a Film. 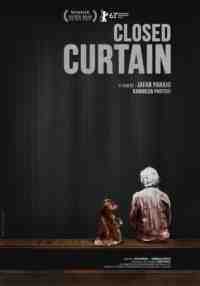 Closed Curtain won the Silver Bear for Best Script at the Berlin Film Festival earlier this year and recently opened at the Film Forum in New York City. It will screen across the U.S. and Canada throughout the rest of the summer. Show your support as well by sharing a personal message of support for Jafar and for other artists around the world who are being denied the freedom of expression.